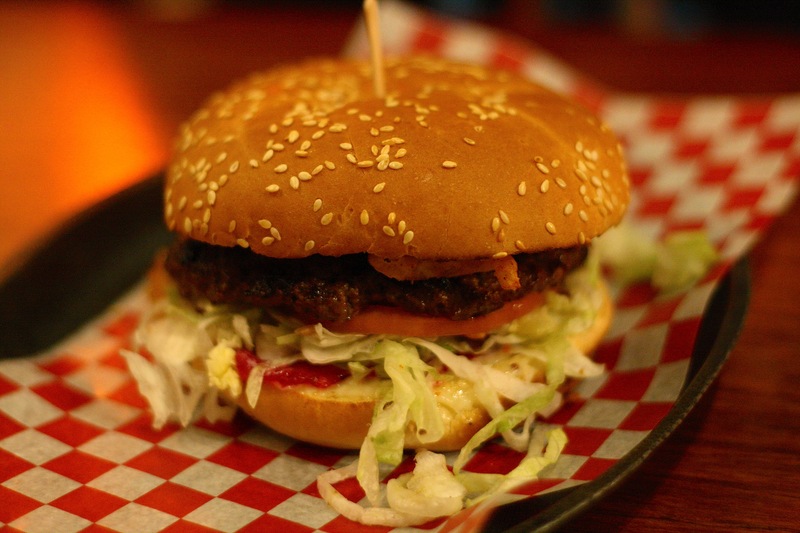 The first veggie burger of Burger Week was titled The Fiesta Burger from Dee Dee’s Ice Cream. 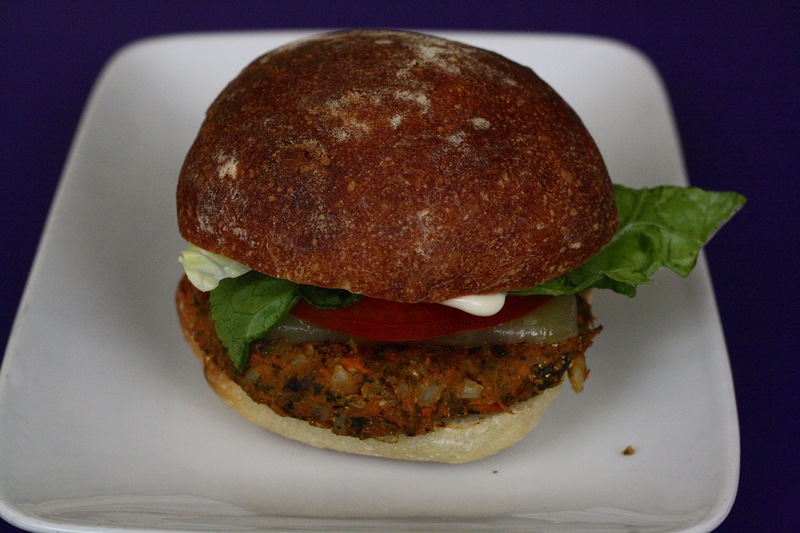 Not knowing quite what to expect, as I’m not well-versed when it comes to meatless burgers, I went in with an open mind. I’m glad I did because I was pleasantly surprised. The patty was full of flavours due to all the delicious components, and I loved the texture that they all created together. I especially really liked the use of jalapeño because it gave the burger a bit of a kick. The roasted garlic mayo also worked really well with the veggies in the patty. The homemade bun was awesome, and it had a great, fresh taste to it. 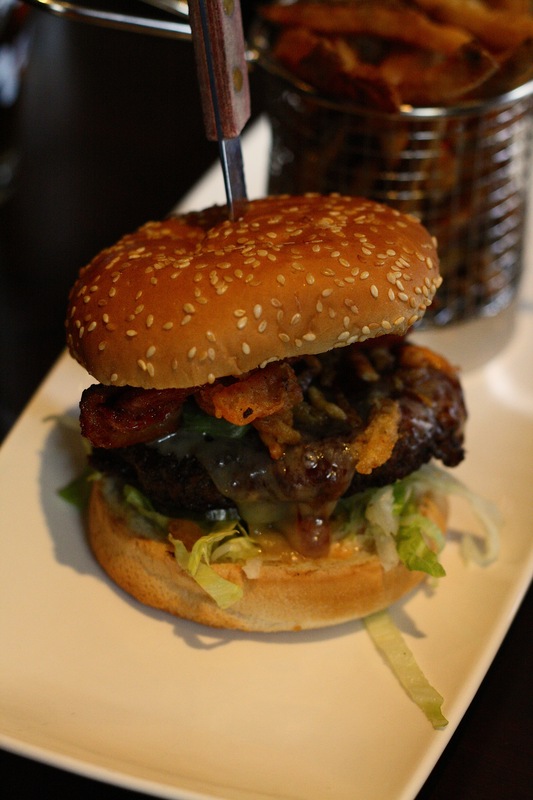 This burger definitely stands tall amongst all of it’s meaty counterparts! 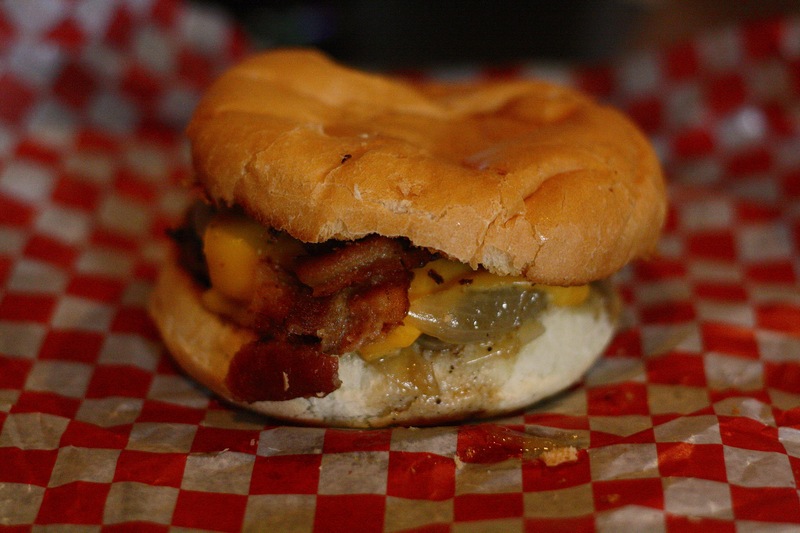 Hali Deli’s Burger Week contribution was a mouth-watering delight. I loved the taste of the onion bun, and grilling it was a great call, both in terms of texture and taste. In my opinion, there were two star elements of this burger. The first was the potato latke. The taste of the latke was really great, and I loved the contrast in texture it provided to the burger patty. The other star of the burger was the smoked meat. They steamed it in-house, and the flavours that came from this meat was out of this world. It may have overshadowed the patty slightly, but I didn’t even care because it was just so damn delicious. This burger is easily one of my top favourites thus far! Having already had a great burger at Bearly’s, which is the other location where Ace Burger runs the kitchen, I was expecting big things from Gus’ Pub. Sadly, I was not overly impressed with this burger. The bun was nice, and it had a classic burger feel to it, but other than that, everything else was fair. I’m not saying that it tasted horrible or anything, it was just a very plain burger, both in taste and appearance. It was a $5 burger, but compared to the other ones at the same price, The Jughead fell short for me. I love when I get to try a new topping/condiment on a burger, so when I heard what was on the Tandoori & Chorizo Burger from The Auction House, it was safe to say I was excited. 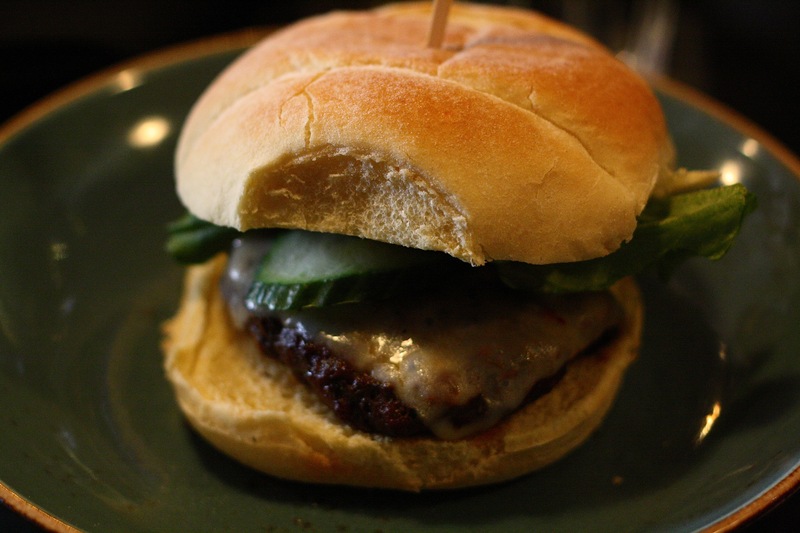 I loved the freshness that the cucumber brought to the burger, and it really added a crisp crunch to every bite. The yogurt dressing had a very interesting taste, in a good way, and the creaminess really went well with the cucumber. The bun was super soft on the inside, and it had a nice crust on the outside. My one complaint with this burger was that you couldn’t really taste the aioli over the yogurt dressing, but this is a very small issue. The burger was definitely an enjoyable time! 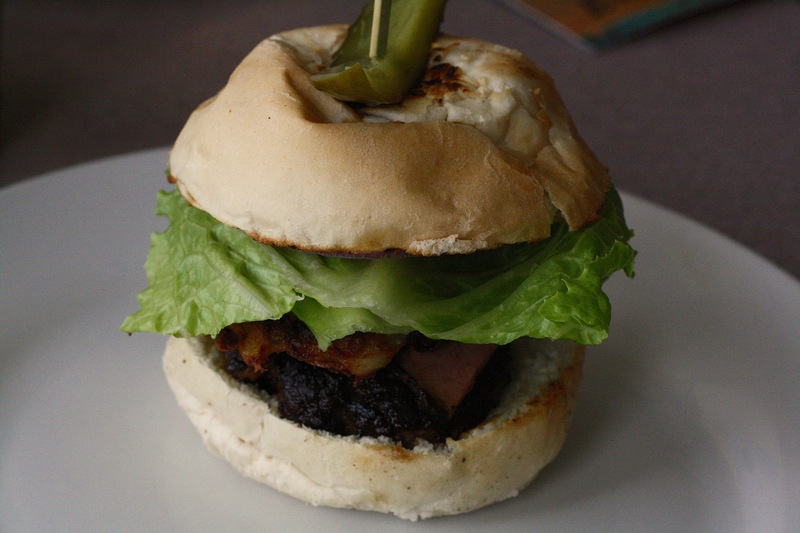 There was some confusion with this burger from some people, as the name ‘Portobello Burger’ could be seen as a vegetarian option. 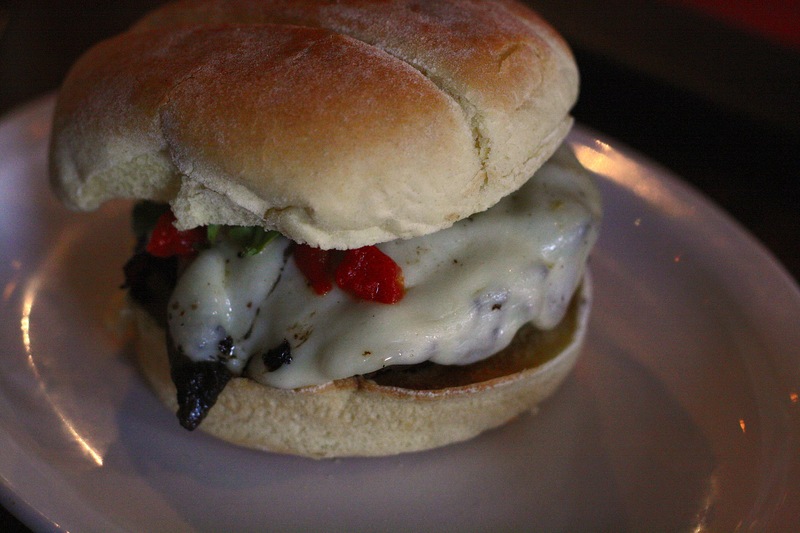 This was not the case, however, as the portobello mushrooms sit atop a beef patty. In terms of these mushrooms, I thought they were done really well and I loved how they were smothered in the provolone. 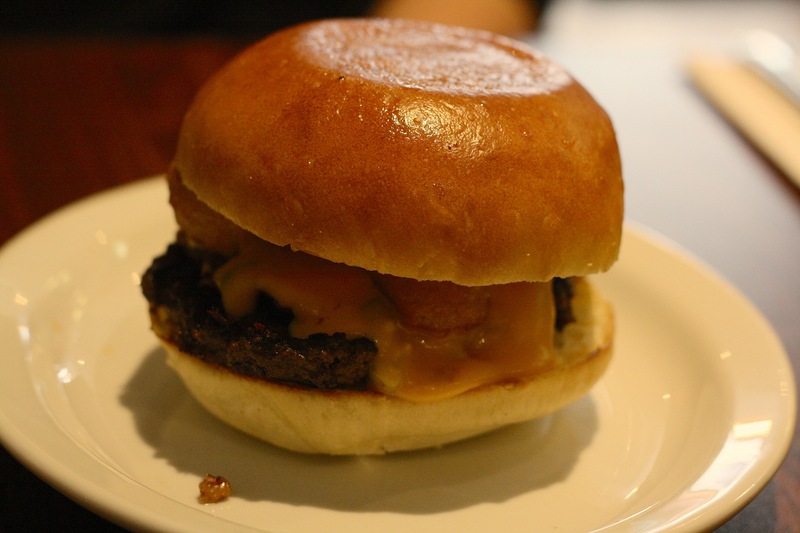 The patty was juicy and full of flavour, and the bun had a great texture to it. My favourite part of this burger was the roasted peppers. They were delicious and I really liked them with the mushrooms. This was a solid contribution to Burger Week. Previous burgers that I’ve had at Durty Nelly’s have been amazing, so I was expecting another great showing with this visit. I was really excited when I saw the BBQ sauce, as I’m a guy that enjoys some sauce (in moderation, of course). There was a healthy portion of bacon on this burger, and the crispy onions gave a really great crunch to every bite. I think my favourite part, however, was the burger sauce, as it really worked well with the BBQ sauce, and it provided a full flavour to the burger. Kudos to the folks at Durty Nelly’s for this burger! There was actually a guy sitting at the table beside us, and when he saw the Ambassador sash he wanted it to be known that the pickles should have been dill as opposed to being sweet, which I totally agree with (I honestly love hearing others opinions on burgers!). I had mixed feelings about the Long Yard from Seasons right from the beginning. When it was placed in front of me, I was kind of put off by the structure of it, due to it being long and skinny, yet still packed with ingredients. After a few bites, I still wasn’t completely sold on this burger. I did really like the crunchiness of the focaccia, and the lamb bacon was pretty delicious. 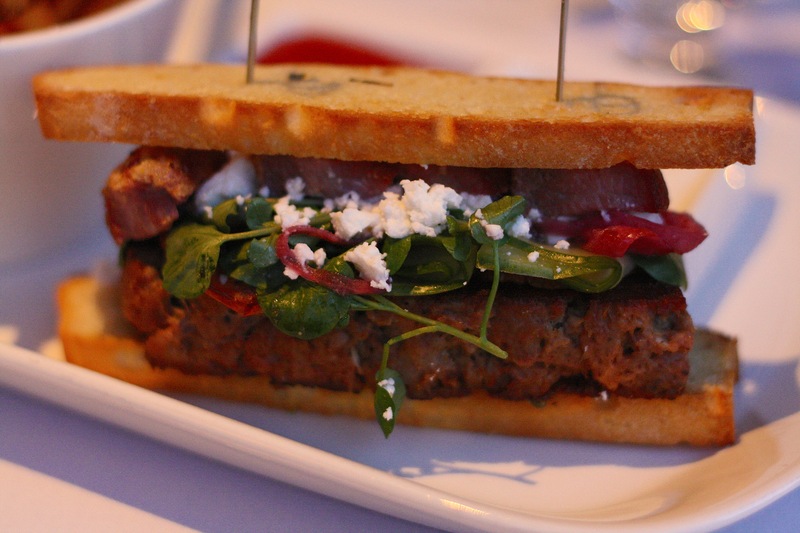 I admittedly am not a fan of feta, so that didn’t help the burger win me over, but that’s just a personal preference. The lamb loaf wasn’t too bad, but it could have used some more seasoning. This burger may be perfect for some, but I’m sorry to say that I am not one of them. Relish is usually pretty good at coming up with original burger combinations, so I had high hopes that this one wouldn’t fall short. The patty was pretty delicious and it kept it’s juicy-ness throughout the burger. I really liked the chipotle ketchup, and in combination with the other condiments, it really provided a bright flavour to the burger. The bun was pretty soft, and it was the perfect size for the patty. This burger was a great end, to a pretty decent day of burger-ing!